Gertsch Consulting & Mode Vision, will be presenting some interesting innovations for its platform “Pod – Pattern on Demand“ at Texprocess 2017. 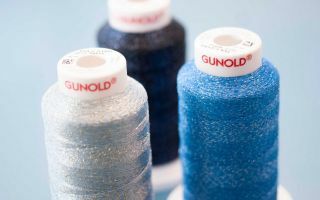 Fully automated processes are needed in order to to make one-piece production batches quickly, reliably and on-demand – particularly when it comes to providing personalized, made-to-measure clothing. Now customers can access a newly developed application programming interface (API) for integrating the “Pod configurator“ into their own web shops (e.g. Magento). 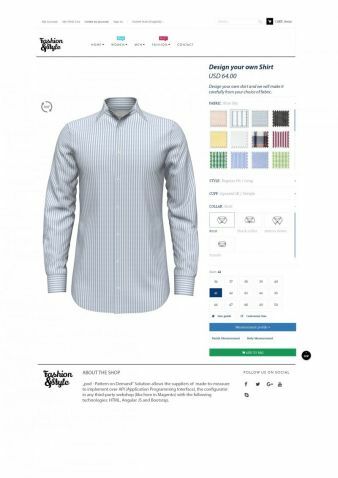 The customer can in turn act as a co-designer and use this configurator to build their article of clothing. The primary advantage here is that as soon as an order is placed into the shopping cart in the online store, it also ends up in the “Pod – Pattern on Demand“ system. No manual item comparison needs to be made on two different systems, since the web shop can obtain all of the data from the "Pod" system. Additional CMS and social media functions were also added to our own web shop to enable startups and smaller companies to enter into the made-to-measure clothing business at an affordable price. Companies are increasingly interested in automating their internal processes, as well. Until now, "Pod – Pattern on Demand" also offered great potential. Since the last Texprocess, additional core features have been integrated into everything from the web shop to automatic delivery of the cut images in order to meet the needs of different production facilities. Of course, a few challenges and developments still remain when it comes to Industry 4.0. As far as industry and research is concerned, this is only the beginning of an interesting development. Only the close and very good collaboration we have with the company Software Dr. K. Friedrich, based in Viersen and developer of the CAD software Grafis and with the company bullmer GbmH "cutting room technology" make it possible to chain together and automate process flows consistently.